Fabricate 2011 in partnership with McNeel Europe is pleased to announce to the Rhino community a special offer of 35% off registration to the upcoming conference in London. Book now at https://www.eventelephant.com/fabricate2011 (promo code is 'GrassHopper_Offer'). This is a limited offer. 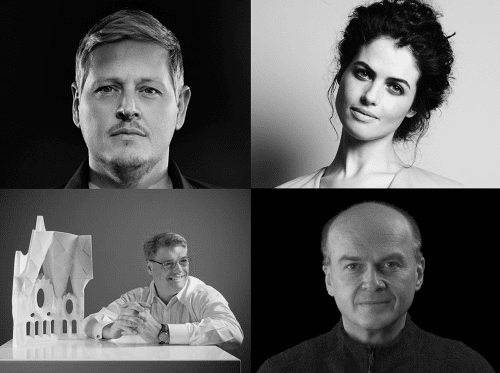 Conference keynotes: Mark Burry, Philip Beesley, Neri Oxman, Matthias Kohler. A full list of speakers can be found here. Fabricate is an International Peer Reviewed Conference, Publication and Exhibition hosted by the Bartlett School of Architecture to be held on 15-16 of April 2011 in London. It will bring together pioneers in design and making within architecture, construction, engineering, manufacturing, material technology and computation. Discussion on key themes include: how digital fabrication technologies are enabling new creative and construction opportunities, the difficult gap that exists between digital modeling and its realization, material performance and manipulation, off-site and on-site construction, interdisciplinary education, economic and sustainable contexts. Professorship Gramazio & Kohler Architecture and Digital Fabrication will be bringing their robotic magic to Fabricate, building live throughout the conference using their latest 6-axis robot combined with innovative laser-scanning technologies. Unlike their previous work, a large number of geometrically differentiated elements will be assembled using an integral feedback system. This approach will be tested for the first time at Fabricate 2011 so come and see what happens. ‘Fabricate: Making Digital Architecture‘ is published by Riverside Architectural Press and is to be launched at the conference. Comprising of 38 illustrated articles on built projects received through Fabricate's Call for Work (now closed). Punctuating these articles, a series of conversations between leading world experts from design to engineering discussing themes on drawing to production, behavioral composites, robotic assembly, and digital craft. All delegates to the conference will receive a complimentary copy.